Want your business to go Gangnam-style and receive national or international recognition? Pacharee Pantoomano- Pfirsch, Marketing Consultant at Brand Now, explains how it’s done. YOU may have heard of the old saying, a happy customer tells a couple friends about their experience and an unhappy one tells everybody. With the help of social media, we’re telling more and more people about the good, bad and the ugly. It is as simple as click and share. On a daily basis, we make many choices about things we buy and consume. In the past, we relied upon a third party to tell us if the food at a restaurant was any good or if a newly released movie was worth seeing. 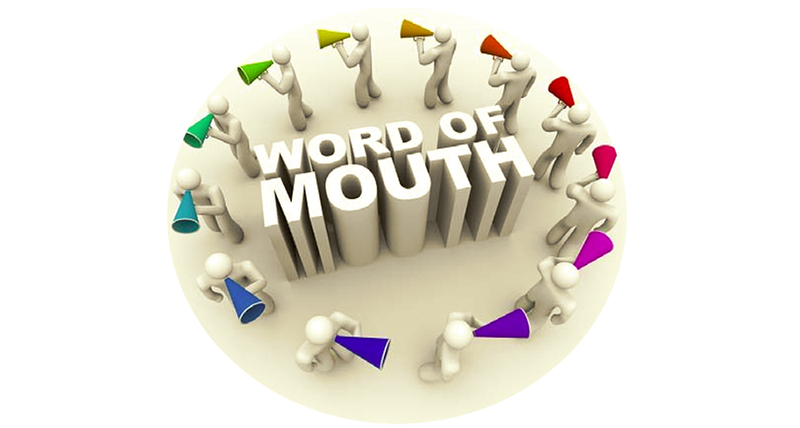 Nowadays, many of our decisions are based on word of mouth. We check out what our friends “like” and what they share on their wall. When we want suggestions, we post it on discussion forums. Recommendations from our friends and peers are considered more credible. We’re inclined to see ourselves like our friends. What they like and approve, we tend to be more open to it. In Q1 of 2012, it is estimated that the average Facebook user has about 245 friends. If we assume each Facebook user shared an experience and 245 people saw it and shared it, the experience would have created 60,000 impressions. These impressions would have created a positive or negative bias towards your product or service. Word of mouth is like a pebble dropped in a pond. Once set into motion, the ripple can create a dramatic result. In 2009, Oliver Beale took a flight from Mumbai to London on Virgin Airlines. He found the food so appalling that he wrote Richard Branson, the CEO, a complaint letter. Beale’s letter was tongue in cheek, hilarious, and it contained pictures of the meal he described in the letter. It went viral in a more traditional way, via email. It was picked up by the media and reprinted. Branson contacted Beale to apologize and thanked him for raising the issue. On a different note, Psy, the Korean pop singer, has had an amazing two months with his hit Gangnam style. The music video was first uploaded in July and within two months it has been viewed by more than 260 million people. Throw in the live performances, parodies, mashups, and video responses – Gangnam has garnered over 350 million views. Unlike other K-pop bands, Psy, comes across as authentic and funny. Describing his video as dress classy and dance cheesy, Psy recently signed with School Boy Records, which represents Justin Bieber and Carly Rae Jepsen. Word of Mouth is not new. Technology has simply given us a new way to share. It has changed how often and how many people we share information with on a daily basis. With this in mind, consider giving your customer something positive to talk about. Word of mouth: It can make or break your business. Want your business to go Gangnam-style and receive national or international recognition? Pacharee Pantoomano- Pfirsch, Marketing Consultant at Brand Now, explains how it’s done Not to miss! BNOW is hosting a Speed Networking evening on Tuesday Oct 16 from 7.30pm to 10.30pm at The Beirut Restaurant, Sukhumvit Soi 55. The plan is simple, we are bringing the professionals of Bangkok together to network with one another while having fun in the process. Meet 40 people in one evening, generating new contacts and potential new business leads. Email bnow@bnow.org for details. Pacharee Pantoomano-Pfirsch is a Marketing Consultant at Brand Now, a marketing and PR agency. If you’d like to send her some Virgin airlines tickets, she’s happy to take them with her to-go meal! She may be contacted at pacharee@brandnow.asia.